As you may already know, we LOVE open source. That's why we created Open Sauce; a way to give open source projects the ability to test their projects for free on our cloud. In the span of a year, we now have over 800 OSS projects testing on Sauce! To celebrate, we’re exploring some of the different projects tested on Sauce with a mini series of Q&A's with users who have produced notable projects using Open Sauce. Today we're featuring an interview with John-David Dalton of Lo-Dash. Get the scoop below. Can't get enough of John-David? Neither can we. You can hear him speak at Front End Ops Conf 2014. Register and get tickets now! What is your OSS project, and what is its goal? 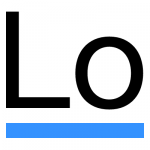 Lo-Dash is a utility library with an emphasis on consistency, customization, & performance. What kind of testing does the project do, both on and off Sauce? On Sauce we automate testing of Lo-Dash in legacy, compat, mobile, modern, & underscore builds (non-minified/minified and modularized AMD builds of each) against Lo-Dash/Underscore/Backbone unit tests. We test against IE6-11, old and new Firefox, Chrome, and Opera. We even test IE compat modes. Off Sauce we automate testing in Node, Narwhal, Phantomjs, Rhino, Rhino -require, & Ringo. How has testing with Open Sauce helped the project? Testing used to consist of ~2 days of manual testing. With Sauce & its paralleled jobs testing is automated to ~30 minutes. Do you have any advice regarding testing for other open source projects? Do it. Start small and build then pretty soon you'll have a nice collection of tests. They'll save you so much grief and build trust with your users/developers.